Determination. Hard work. And a little bit of magic! When Michael O′Loughlin was drafted by the Sydney Swans at just 17 years of age, he was the no. 40 selection and the last player picked. Back then he could not have imagined the extraordinary future that awaited him. That future included numerous awards and accolades, the respect and admiration of fellow players, a huge number of personal supporters, and a record-breaking 303 games in the red and white. This is the candid and inspiring story of Michael′s upbringing in a tough area of Adelaide, one of six kids to Muriel, from the Narunga Aboriginal community on the York Peninsula, and Alex, from another indigenous community near Murray Bridge. Guided clear of trouble by his parents, and demonstrating from an early age a natural sporting ability, Michael′s talent as a footballer was spotted in 1994 and his long and successful association with the Sydney Swans began. By 2009, Michael had broken the Swans′ games record. He had kicked more goals for the club than anyone except the legendary Bob Pratt. 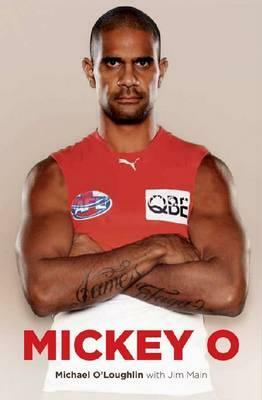 He played more finals for the Swans than any other, and became one of just three Indigenous players in the history of the sport to reach 300 games.